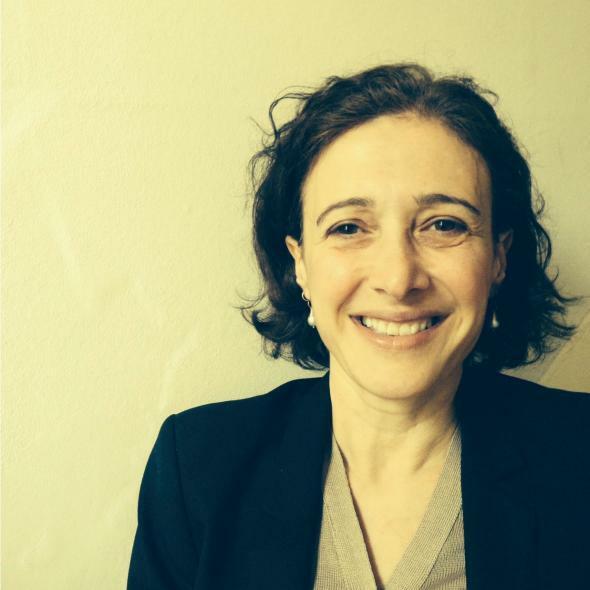 Talking about women, aging, and menopause with Marina Benjamin, author of The Middlepause. British writer Marina Benjamin never thought much about aging—until a hysterectomy in her late 40s brought on early menopause and the host of physical and mental changes that came with it. She was suddenly middle-aged. Though getting older, as they say, beats the alternative, that doesn’t mean most of us are prepared for it, and Benjamin decided to write toward figuring out what it means to be a middle-aged woman today. I spoke to her about the resulting book, The Middlepause: On Life After Youth, the “many worlds” hypothesis, and why talking about aging is a feminist project. Slate: What made you want to write this book? Marina Benjamin: Well, I think the glaringly obvious reason I’d pose is arriving at that time of life without any pointers and feeling really marooned in my own sense of horror and ambush. Really, also feeling—I’ve come through all my decades as a feminist—quite politicized about any time of life that I would approach and feeling very much that menopause was a joke when it was talked about at all, which was not very often. Feeling that it really wasn’t getting any kind of serious attention, where what I was feeling was a kind of seismic shift in my sense of self that I hadn’t felt since adolescence. Your book has been out for a bit now in England. In the response and conversation that followed, do you feel like you were able to raise the topic in the way that you wanted to and have the discussion you wanted to have? Part of me wants to say no, because I think that in most contexts, readers have been invited to engage with the book as self-help, not as literature. I’ve been very keen to point out that the book is not prescriptive. It’s an inquiry. But I guess when you’ve got a bunch of women in a room, all of whom are at various statuses of menopause, that kind of gets lost by the wayside a little bit, and you do end up talking about experience. And I think partly that women were just desperate to talk about these things because they hadn’t been aired before and to get beyond the clichés as well—to get them a permission as well to voice struggle, which I also think is a feminist project. Were there things beside menopause that women were really keen to talk about? Yes. More women than I expected felt some kind of crashing sense of disappointment about having arrived at midlife and that feeling of you’re not where you thought you’d be. That’s a very common feeling that you have to recalibrate in everything; everything gets called up to be questioned. Are you happy with where you are—if not, why not? Was it even worth chasing after what you thought you wanted if it actually turned out to leave a hole? I think people are asking themselves really searching questions. The importance of looking at the whole arc of life from the perspective of being in the middle, is that, if you look at it as a kind of bell curve, it is the high point, the point of maximum vista. You see all the views from that point. I felt that people in midlife were perhaps faced with aging and dying and sick parents, really having to grapple in a real sense with mortality. You get this sense that it’s beating closer to your generation than you would feel in your 30s or 40s, when you’re still feeling very youthful yourself and also have very young children. You’re tied and you’re bound up in [feeling youthful], in many more ways, I think, up to the age of your late 40s. And then things really shift, very profoundly. You talked about the question that always comes up: If you could stop the clock anywhere, where would it be? That’s such a powerful question and a sort of irresistible one—is it bad to get stuck on it? I suppose we get caught up in that kind of thinking in a way that’s not as helpful as it should be, because generally, it encourages to put a number on our experience, to name a time in the past. It encourages a kind of nostalgia and perhaps deflects from looking at the present moment with greater care and scrutiny. We’re all human, we’re all prone to regrets and nostalgia. I certainly write about those things in the book, sometimes to the point where I feel completely disarmed by a tidal feeling of nostalgia that comes over me. But I think that you can learn to enjoy those feelings, actually, and not to have them undermine you or where you are. You can learn to understand that your life is a roving, moving thing. That your past is connected—that you carry your past with you, so you haven’t left it behind, never to be accessed. It’s a part of who you are. In our 50s, you can kind of look at it as saying, “Well, you’re at a time in your life where you still have your physical energy, and you have all your work experience”—so you bring those two things to bear, to maybe a last window before any real decline occurs. That’s what I’m choosing to relish from the decade. When you were younger, both growing up and as a young adult, how did you think about aging? Or did you just not think about it? I didn’t really think about it. I think part of the thing that I was trying to address by writing about the friend of mine who never made it to 50 is that we just assume continuity until it’s taken away from us. And especially now, we have an expanded youth in some ways because it’s partly fitness culture and awareness of good diets and stuff like that, and it’s partly culture-culture—in the sense that we now share restaurant culture, movies, clothes, an awareness of popular culture and politics, with generations who are much younger than us. We don’t retire ourselves from active cultural participation in the way that a previous generation might have done. I think we have a prolonged youth—and so in some ways, when middle age hits, it’s more likely to hit as a shock. At least that’s how I felt. I just didn’t see any reason for things to change, but they did. I was also interested in the part of the book where you mentioned the “many worlds” hypothesis and the idea of what your life could be like in other worlds. Is this something you’ve thought about, what your life might be like in other universes? Oh my God, all the time. I mean, I’m terrible for that sort of thing. I’m somebody who does have regrets. That whole “many worlds” idea allows you to fantasize: Well what if? What if I took that fork at that point? What if I hadn’t made that life-changing choice? What’s so interesting is that you progress along, but every choice you make is a choice forfeited. Whereas the “many worlds” hypothesis allows you to imagine an alternative universe in which every choice you might have taken has happened, and so there are multiple yous living out multiple lives across the universe. I just like playing with that idea as a thought experiment. I feel like that maybe makes it more fun or comforting. I sort of can’t get over the image from The Bell Jar, the tree branching out. I guess it’s hard not to think of it as sad. I know, it is kind of hard. It’s sad in a kind of melancholic way. There’s some beauty in sadness that you can salvage around the ideas of loss and regret and mourning and bereavement. There’s a lot of beauty that comes with that. Oh God, I’m beginning to sound like one of those self-help books! But I think our natural instinct is to shy away from the more difficult aspects of the choices we make and the lives we live and the way we live our lives. I’m really, really trying to keep my nose to the grindstone, to just not look away from the difficult stuff. I don’t know if your daughter or the other younger people in your life have expressed much interest in the topic of aging, but when you talk to younger people about it, do you give them advice? I just think: go and have adventures—this is what I tell my daughter. Just have as many adventures as you can, taste the world, because opportunities shut down very fast, and we do it to ourselves. We make choices, and those choices can commit us to a path for a number of years. I think you’ve got a good couple of decades of experimentation in your teens and 20s just to kind of go for it. I don’t want to sound too morose because that’s the opposite of the [book’s] message, that you have this great sense of satisfaction in your own company and your own life and your own world. You can do that as a single person in your 50s or your 60s or whatever if you want to—there’s a kind of enrichment that comes with aging that shouldn’t be ignored. I think that in the past perhaps we haven’t been attentive enough to the whole of life’s journey, that we’ve really focused our attention and cherished youth in a way that perhaps doesn’t give us many tools for dealing with midlife. I was talking at one point in the book about how you just have to let go of your youthful self if you’re going to be able to genuinely embrace where you are in midlife, and see it for its own time and take it on its own terms. If you don’t let go, then you kind of get into this form of arrest. I think we see it around us, actually, with this denial of aging. Perhaps in popular culture more than anywhere, music industry, film industry—women who don’t get roles because of their age, and so forth. It’s almost misogynistic, I guess, the valuing of youth over age and experience. Women collude in it because their jobs depend on it. And this ideal of age denial—the whole industry, the whole cosmetic and surgical industry, rides on the back of denialism. I feel like I shouldn’t tell women what to do or how to be. I just think: Beware. Understand where it comes from. Could you tell me more about that and how talking with other women and spending time with other women helped you deal with aging? Well I wrote about that in the context of losing a friend before 50. It was a group of women that looked after her as she died and became closer to each other through that illness. But the other of my female friends—I really felt a feeling of horizontal camaraderie [with them]. I felt that the sharing of knowledge and insight among your peers was a different kind of support network than the traditional communication of knowledge about secrets, if you like, that were handed down and whispered from mother to daughter. I felt that with aging, actually, it was far more flexible and interesting and organic to have that communication line open in a horizontal way with your peer group—that that was a far more meaningful thing, because you age together, and you have a parity of experience. It’s not passing the baton down to generations so much as this movement of women moving through eras together. I like the feel of that. We meet once or twice a year and we still talk about our friend. It’s a real marker, I think, losing someone in that way, because you’re so aware of your good fortune and being around. And then you wonder in the “many worlds” theory muddle, where they might have gone, which path they might’ve taken, where in the universe they might be. You were writing the book as you were looking at turning 50, but now you’re past 50. What was it like getting to that milestone, and how has it been since? It’s funny because I know I was very vociferously saying that this is not a self-help book, and it’s not. But writing it did help me. Writing it out helped me figure out what I was reacting to so strongly, what I was so averse to, why I was living in such an existential bubble, really not letting myself look away from those things and making myself write out the meaning of them—it was a helpful thing, and I haven’t found 51 and 52 difficult. They just feel like numbers, numbers I’m actually thinking about in much longer swaths of time now, about phases of life. What might the next phase of life offer? That’s been quite liberating.